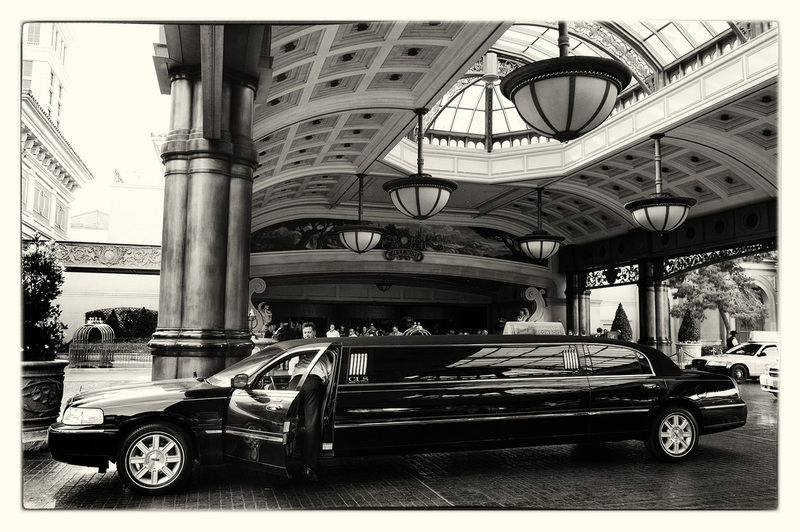 Welcome to San Jose's elite limousine rental service! We look forward to skyrocketing your luxury limo experience to the next level with the highest quality limousines, staff, and so much more. Roll in style, comfort, and safety when you book your next wedding, party, sporting event, corporate event or executive airport transportation with San Jose Limousines. 1. 5 Minutes Early Is 10 Minutes Late - Over the years we've proven to our clients that we'll be there on time, every time, even if you're not. 2. We Know How To Deliver - Our licensed and specially trained drivers know exactly how to pamper you and provide the highest level of service complete with big smiles. 3. Roll Out Like a Boss - We have an enormous fleet of the most sought after limos, stretch limos, airport and corporate transports in the industry. No matter how big or small your bash may be, there's a spot on our squeaky clean leather seats for all your friends. 4. Super Safe Limos - The safety and reliability of our fleet is a top priority which is why we have our certified technicians do a daily maintenance check on each and every one of our vehicles. 5. Super Spotless Limos - The moment you sight the shine of our spotless limousines and take your first whiff of our brand new leather seats you'll know that "San Jose Limousines was the best choice I ever made!" We provide services for your basic travel needs, like airport and concerts, or for more elaborate occasions, like weddings, proms, and Quinceaneras. Our limos, cars and buses come in every size, and style to meet your specific needs. Our Lincoln Town Car sedan and SUV are perfect for airport transfers to any of the major airports in the Bay Area-- including San Jose International airport, San Francisco International airport, and Oakland International airport. Besides airport service, they are also ideal for corporate needs and any car service for 4 to 7 passengers or less. If you are looking for something more classy, our limos are the perfect choice here at San Jose Limo. If you enjoy the more traditional or classic look, consider our 8 or 10-passenger Lincoln Town Car stretch limo or our 10-passenger Chrysler stretch limo. You will love the elegance and class while riding in these beautiful limousines. If you want to take it to the next level, book yourself a stylish SUV stretch limo-- such as our 14-passenger Expedition stretch limo, 14-passenger Navigator stretch limo, 20-passenger Escalade stretch, or 22-passenger Hummer stretch. Our stretch limos are equipped with top-of-the-line amenities such as flat screen TV, DVD and CD player, nice sound system with music hook up, full bar with complementary beverages, soft leather lounge-style seats, fiberoptic lighting, and more! Need more room? Our party buses are the latest craze and popular for many occasions, including prom, concerts, sporting events, weddings, birthdays, quinceaneras, wine tours, corporate services, and more. San Jose Limousine carries 20, 30, and 40-passenger party buses to accommodate the size of your group. 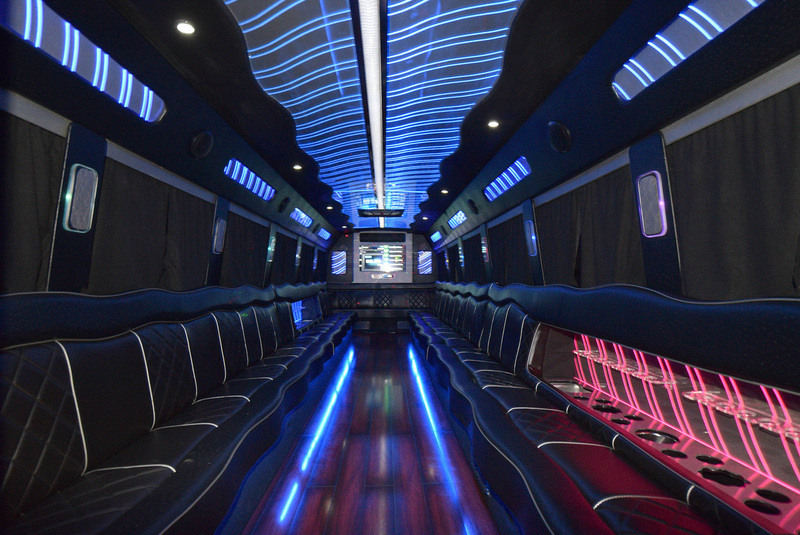 In addition to having all the same fabulous amenities as our limos, our party buses also come equipped with dance poles and hardwood floors. If you prefer a more traditional charter bus, we have that too in many sizes. Just call us for more information and one of our helpful staff members will happily answer any questions that you have. Check out our services page for an extensive list of the many occasions we service-- from airport to wine tours, to city tours, concerts, quinceaneras, weddings, newborn ride home, to prom and more! If you do not see an occasion listed, please let us know and we will happily accommodate. Our staff at San Jose Limousine is dedicated to providing you with safe and enjoyable luxury transportation services throughout the San Francisco Bay Area. We welcome you to call us or send us a FREE quote request and you can expect a quick response with one of our low rates. We look forward to hearing from you!